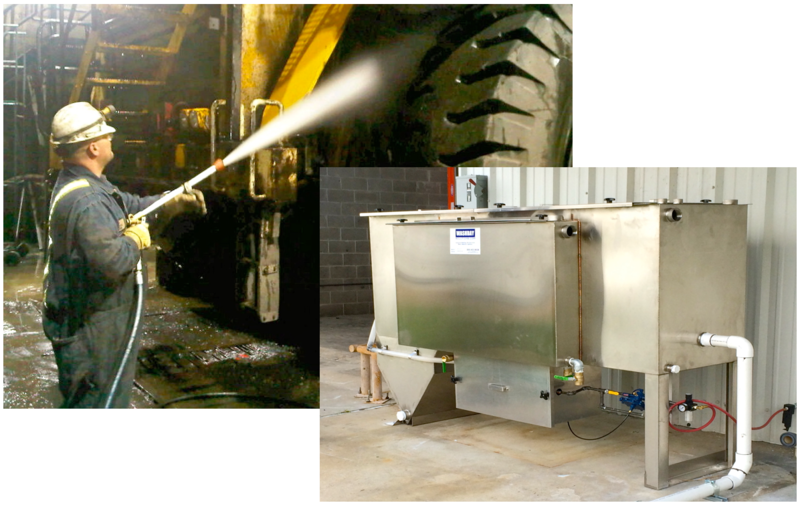 Integrated Wash & Treatment System for Heavy-Duty Mining & Construction Applications! 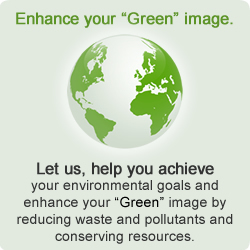 Reduce your environmental liabilities and get the power of a wash monitor with a fraction of the water usage! 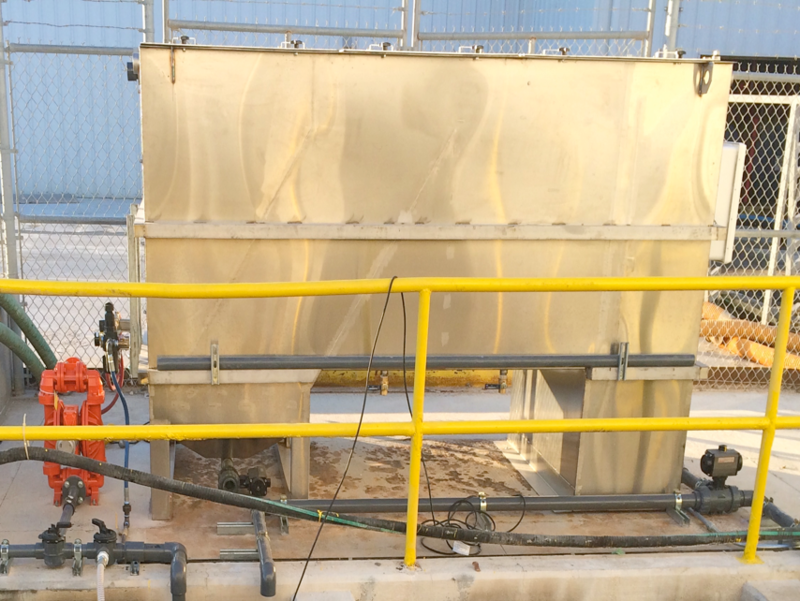 We have developed a revolutionary mining and construction wash and treatment system by integrating our demucking system with our clarifier oil water separator system. 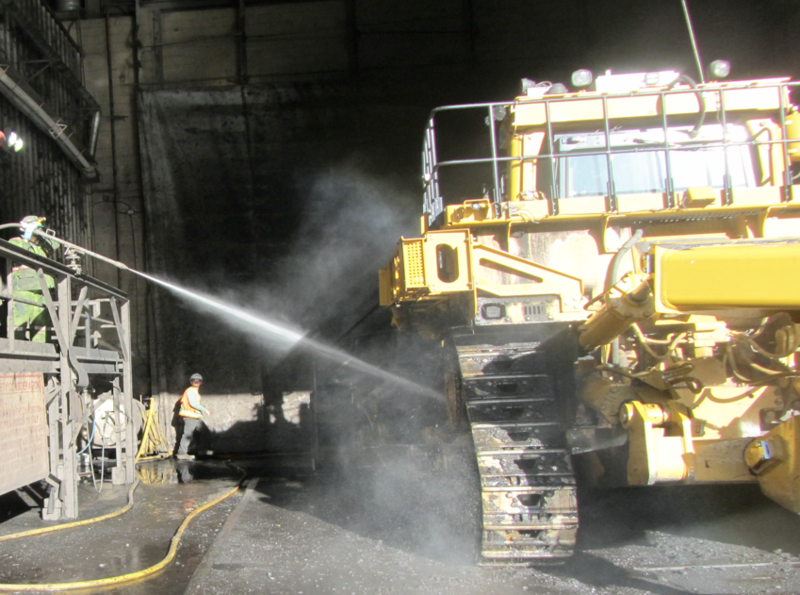 Using low flow pumps, moderate pressure and specialized nozzles, our robustly- designed demucker systems can quickly clean large haul trucks, steel tracked vehicles or any heavy equipment caked with mud, clay, ice, grass or muck – using only 60 gpm of water. After washing, we can then process this water through our stainless steel clarifier oil water separator to reduce your environmental liabilities. Even though full of solids, oils and grease, our separator will effectively treat this wash water for re-use or discharge. Fast and effective cleaning with low water treatment costs – definitely a win-win situation!